Auburn football coach Gus Malzahn is entering his fourth season with a 27-13 record, but his Tigers have lost 10 of their last 18 games and are coming off a last-place finish in the SEC West. HOOVER, Ala. — In 2013, Auburn's Gus Malzahn became the first Southeastern Conference head football coach to win the league title in his inaugural try since legendary Ole Miss coach Johnny Vaught in 1947. Last season, Malzahn became the first SEC coach to have his team finish last in a division after being picked to win the league. Malzahn enters his fourth season with the Tigers having gone 12-2, 8-5 and 7-6, his 12-win team coming within 13 seconds of knocking off Florida State for the national championship. His third Auburn team, however, needed a 31-10 thumping of Memphis in the Birmingham Bowl to avoid the first losing season of his college coaching career. 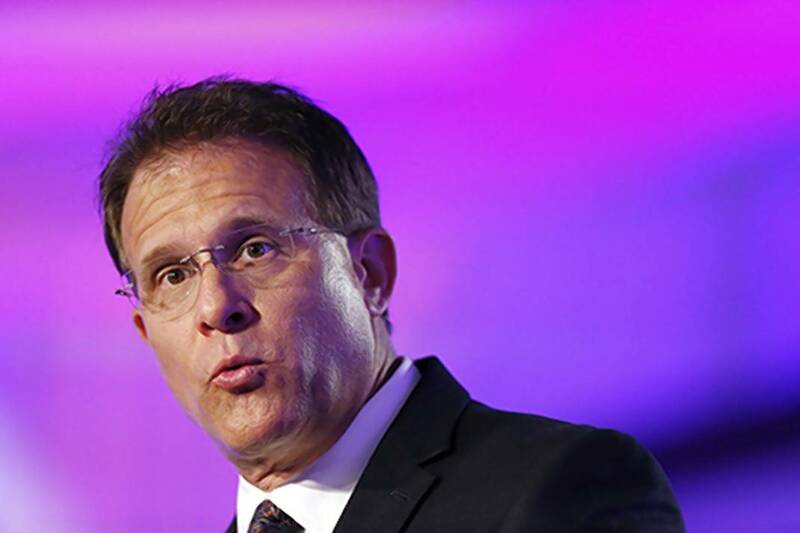 "When I look at last year, the thing that really stands out to me is that we lost close games," Malzahn said Monday as the annual SEC media days event opened. "In this league, you're going to have a lot of close games. The two previous years, we were one of the best in the country at winning close games, and we had opportunities last year. "From an offensive standpoint, last year really was the first time since I've been coaching college that we didn't execute at a high level consistently, and that goes back on me. I do feel good about where we're at, and I do feel good about some of the valuations and some of the changes we made going into this year." Auburn went 3-4 in one-possession games last season, including a four-overtime loss at Arkansas, and one of the tight victories came in overtime against Jacksonville State. The Tigers began last season ranked in the top 10 but never came close to matching the hype with an offense that ranked ninth and a defense that was 13th in the league. Malzahn described last season as a "humbling experience," and Auburn players have fielded questions this summer about their coach's job security, even after athletic director Jay Jacobs recently gave Malzahn a one-year extension. "I don't really buy into those things," senior receiver Marcus Davis said. "Any coach can call any play, but if the players are not executing, then it's not going to work no matter what system you're in. His resume speaks for itself. He's a guy who can win games." Said junior defensive end Carl Lawson: "Doubters will have their opinions. I have mine. We'll just have to prove it." Senior running back Jovon Robinson could be among the SEC's top rushers this season, and a formidable defensive front under new coordinator Kevin Steele could be matched by a secondary that has Carlton Davis, Johnathan Ford and Tray Matthews back from a year ago. The big question is at quarterback, where inconsistent returnees Jeremy Johnson and Sean White have been joined by junior college transfer John Franklin III. "We've been successful with different kinds of quarterbacks," Malzahn said, "and we've just got to figure it out between the three guys who are fighting for the position — all three can run an offense — which guy gives us the best chance to be successful. We will then build around his strengths, and hopefully we can figure that out sooner rather than later in fall camp. "The good thing is that we've got a lot of experience coming back around our quarterback, which is something that's critical in this league if you want to be successful. We are going to be better on offense. We are going to execute at a higher level and play better at quarterback, and we finished last season strong defensively and have a lot of guys back." Malzahn announced Monday that the four players arrested April 30 for marijuana possession — Davis, defensive end Byron Cowart, receiver Ryan Davis and defensive back Jeremiah Dinson — already have been punished and will not miss any playing time. The Tigers open their 2016 season against Clemson, which finished last season ranked No. 2 and has quarterback Deshaun Watson back, on Sept. 3 in Jordan-Hare Stadium. "It will be a big one, no doubt," Malzahn said. "Clemson is one of the best teams in college football with one of the best players, if not the best player, but we're playing at home and have had success with first games in the past." Contact David Paschall at dpaschall@timesfreepress.com or 423-757-6524.